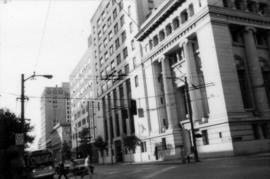 Source of title proper: Title based on contents of series and departmental title. 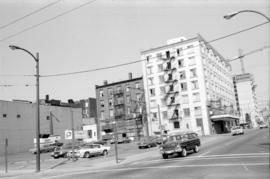 Variations in title: Series previously known as part of unappraised and undescribed series 137 (Planning Department photographs, 1950-1991, CVA 1095). 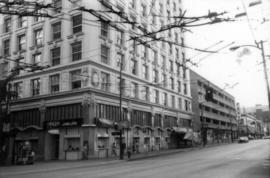 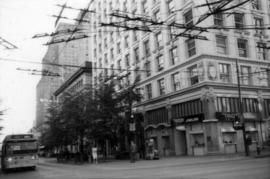 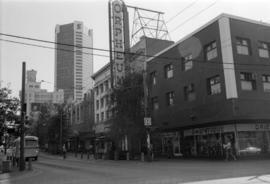 Series consists of images which systematically and comprehensively document the whole of Vancouver's central commercial area, along the waterfront from Cardero to Carrall, narrowing southward to False Creek (Thurlow to Richards at the southernmost point). 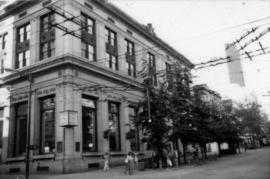 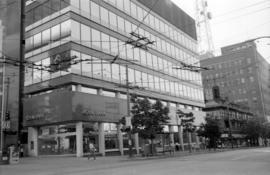 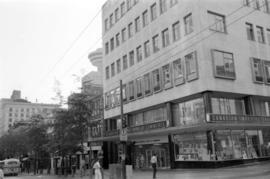 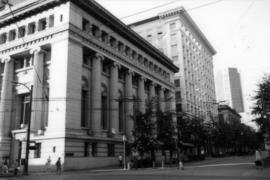 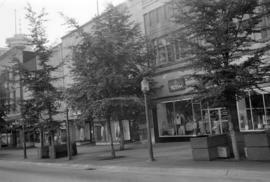 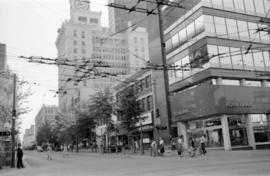 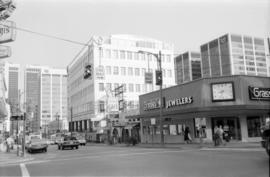 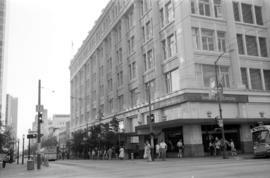 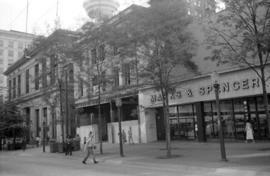 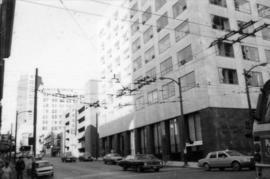 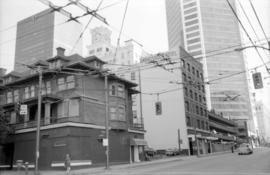 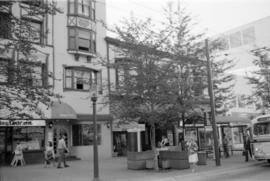 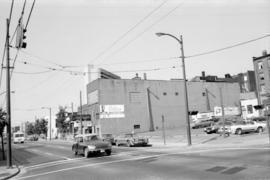 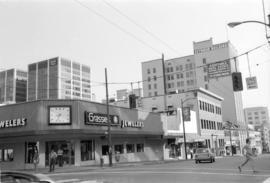 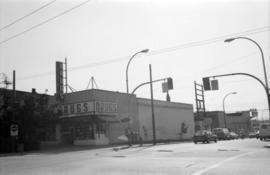 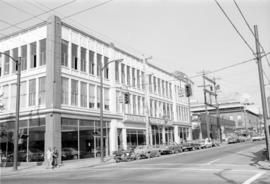 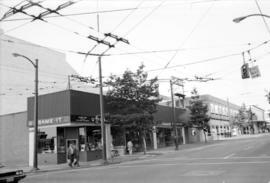 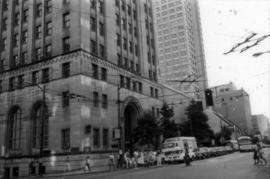 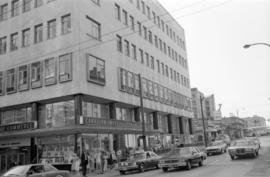 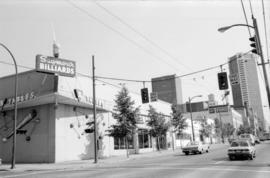 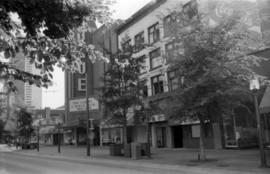 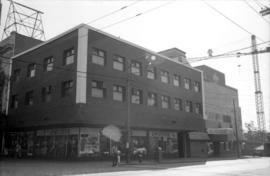 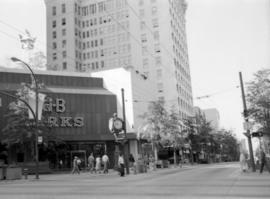 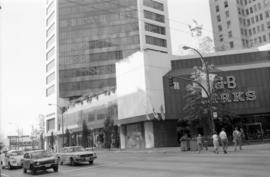 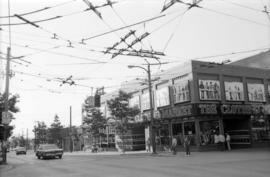 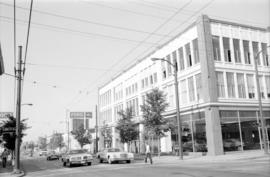 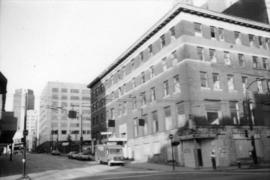 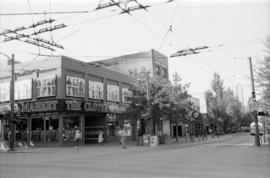 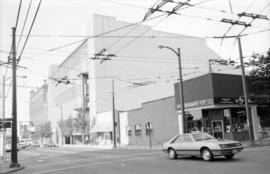 Photographed in August 1981 (as an internship or work experience project) to provide a reference resource in the preparation for the Vancouver Coreplan. 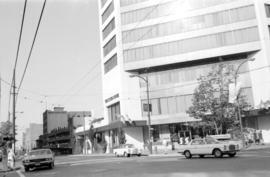 Images are generally 45 degree views of buildings, often from block corners. 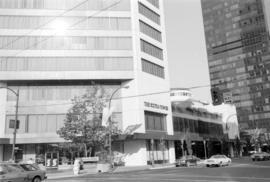 Arranged in a devised image block numbering scheme (individual image numbers reflect that organization). 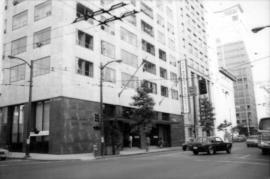 Transferred from Graphic Services Division in 1991. 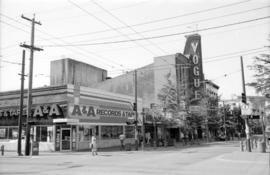 Photographs in this series have been assigned catalogue numbers with the prefix CVA 779. 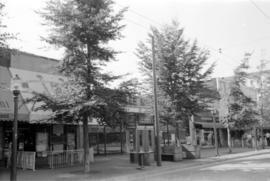 Finding aids include a map which provides a quick overview of the area represented and an item list (also in database), both filed at CVA finding aids (CVA 779). 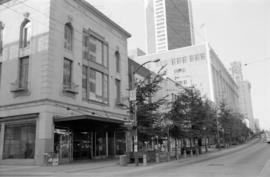 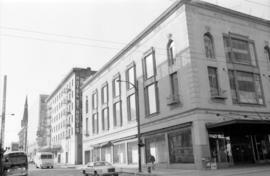 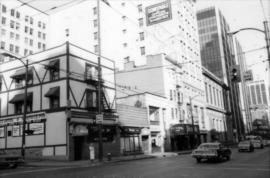 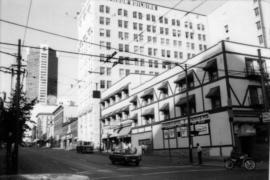 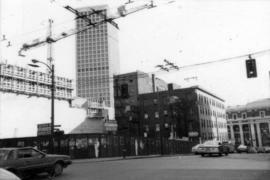 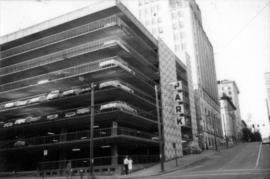 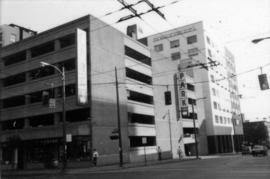 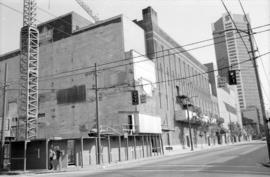 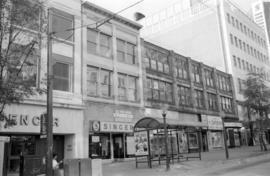 series 509 (CVA 778, Downtown and West End building facades inventory photographs, 1974, though it covers a smaller geographic area). 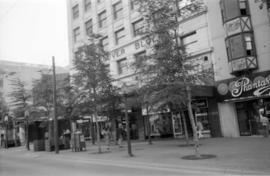 Old Photo Number: Individual image numbers taken from block numbering key devised to organize the project (e.g. 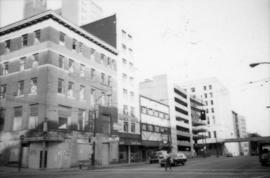 CVA 779-E1.33 is one image, CVA 779-W8 .34-.35 is two similar images).